by Davidson, RN, Ph.D., CNM, Michele, London, Marcia L., Ladewig, Patricia W.
Comments: Ships same day. Gift Quality. Tracking Included. 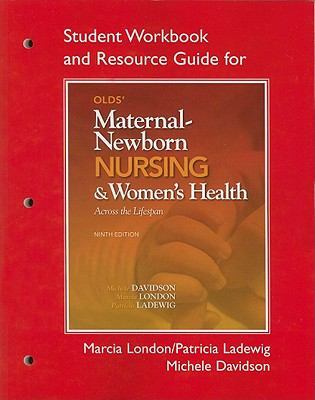 Davidson, RN, Ph.D., CNM, Michele, London, Marcia L., Ladewig, Patricia W.
Davidson, RN, Ph.D., CNM, Michele is the author of 'Student Workbook and Resource Guide for Olds' Maternal-Newborn Nursing & Women's Health Across the Lifespan', published 2011 under ISBN 9780132557788 and ISBN 0132557789.